The Offroad Racers contest is an event where monster trucks, rally cars, pickups, and buggies compete with each other. Opponents can try to stop racers on their way to finish in three different racing modes. Download free full version pc game today, complete 18 stages and win the contest! - Offroad Racers is a free full version game to download and play. 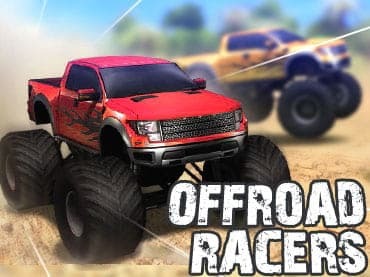 If you have questions about Offroad Racers game, please contact us using this form.